The cricket crawling around in the florescent light above my son’s head attempted to distract me, but I was too focused on the picture of a man that stood before me. He stood tall at the head of a long table in a well-used brown suit. A picture of Christ hung on the wall behind him. Without hesitation or any show of timidity, he reported on his two years of missionary service and explained to fifteen men that represented the local leadership of our church how and why he had served. I wondered what had become of the young boy in a cowboy hat and boots. When did he become a man? In the South Pacific on the island of Vanuatu, young men still perform a ritual to prove their manhood called land diving. They construct a tower from wooden branches high above the jungle floor and then with carefully measured vines attached to their ankles, they jump. The vines stop their fall to certain death inches above the ground. A young man will start by jumping from the lower portion of the tower, and each year he will climb higher to make the jump. The more courageous ones will eventually make it all the way to the top to prove their manhood. Land diving has been a rite of passage in this island culture for several hundred years. In our modern society, we have done away with, or replaced, most rites of passage for our young men to prove their manhood. When does a boy become a man any more? When he buys his first car? When he pays off his student loans? When he spends more time working than playing video games? When he drinks his first drink of alcohol or smokes his first cigar? When he joins the military? When he fathers a child? When does a boy become a man? Two years ago my son Cody left home to serve a mission for the Church of Jesus Christ of Latter-Day Saints. He had lived on his own for over a year already. He had a year of college under his belt, and had been gainfully employed. By many standards, he was a man already. Like the young men on the island of Vanuatu who start by jumping from the lower portions of the wooden tower, he had proven himself capable of accepting and fulfilling basic responsibilities. 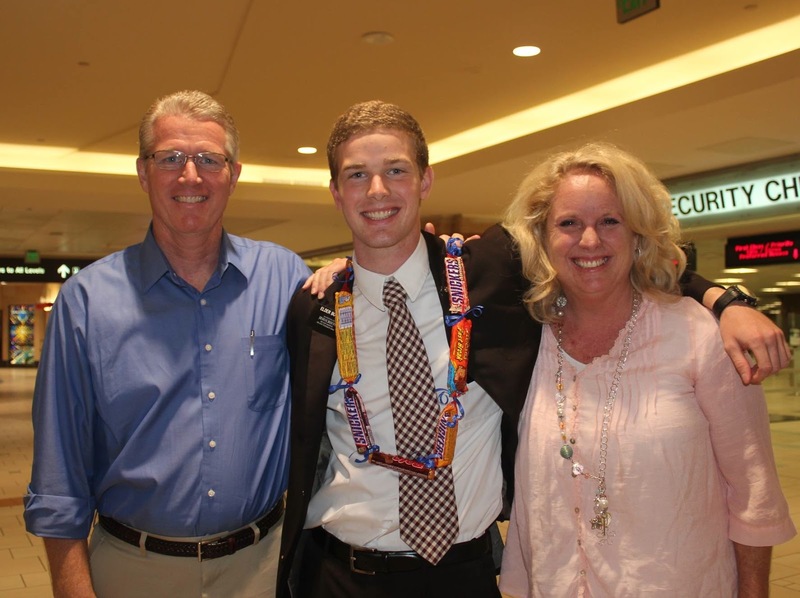 When he accepted the call to serve as a missionary for two years (without pay), he was embarking on a daring rite of passage. All worthy young men in the Church of Jesus Christ of Latter-Day Saints are encouraged to serve a mission, but not everyone chooses to do so. I am not suggesting that a full-time mission is necessary for an LDS boy to become a man. Even the current President of the Church, Thomas S. Monson, did not serve a mission. I am suggesting that the process of serving voluntarily as a missionary and humbly submitting to all the strict rules of conduct it entails will bring a noticeable change to any young man’s countenance. If they serve willingly and obediently, they will shed the boyish norms and adopt the more mature conduct fitting of a man of Christ. If someone has to tell you that they have become a man, then they most certainly have not. 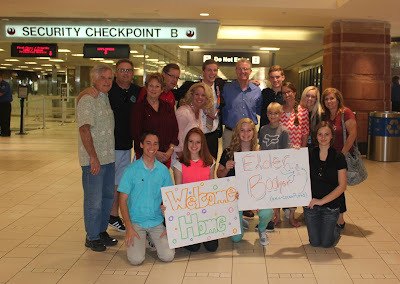 The moment I saw Cody walking past the airport security checkpoint as he returned home, I could see the difference. We greeted him with signs and cheers. He displayed the same sense of humor and charm, but he stood taller. He carried himself with more confidence. He paid attention to the needs of others. He was no longer a boy struggling to fill a man’s role. No doubt a great deal of growth still awaited him, but I could see that he had become a man. He didn’t have to tell me. Which experiences made him a man? Was it keeping a rigid daily schedule without much supervision? Was it speaking with strangers about the passionate topic of religion? Was it doing his own laundry? Could it have been learning to live on a limited budget? Did spending 24/7 with another human being help him polish the rough edges of youth? Which experiences propelled the boy to manhood? Each of those opportunities to grow was like moving steadily up the land diving tower. Each experience, each trial, each adversity, built his courage; sharpened his abilities; increased his maturity. No single event converted him from boy to man, but the culmination of those experiences helped him shed his selfish boyhood skin and replace it with the callus-covered hide of manhood. Manhood is rarely achieved through one dramatic act, but a culmination of small seemingly mundane acts that build strength of character and beg the boy to become a man. I’m not sure how many years it takes for a young man in Vanuatu to work his way to the top of the land diving tower and make the leap to manhood, but I am certain that somewhere during the past two years of serving others, my son Cody made the leap from boy to man. My oldest son, Rian, already made that leap during a similar experience as a missionary. My youngest son, Carson, is looking forward to his own experience.